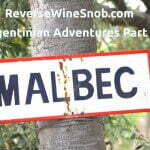 Complex and tasty Tempranillo in a modern style? We’re all in! Here at Reverse Wine Snob, we’re huge fans of wines from Rioja and today we are featuring two favorites in this special sponsored post. Vaza® wines are produced at Solar Viejo, a winery situated in the medieval village of Laguardia in the high altitudes of Rioja Alavesa. The name originates from the word “Baza” which in Spanish means “trump card” or “new beginning”. Both of those meanings are quite fitting for these special wines. Read on to find out why! The Rioja region in Northern Spain is arguably one of the top wine regions in the world. Thanks to the strict regulations in place, terms like Reserva and Gran Reserva actually mean something here. Often times; however, wines with those designations are a bit out of our price range (and for good reason — two years in new oak isn’t cheap). Never fear! 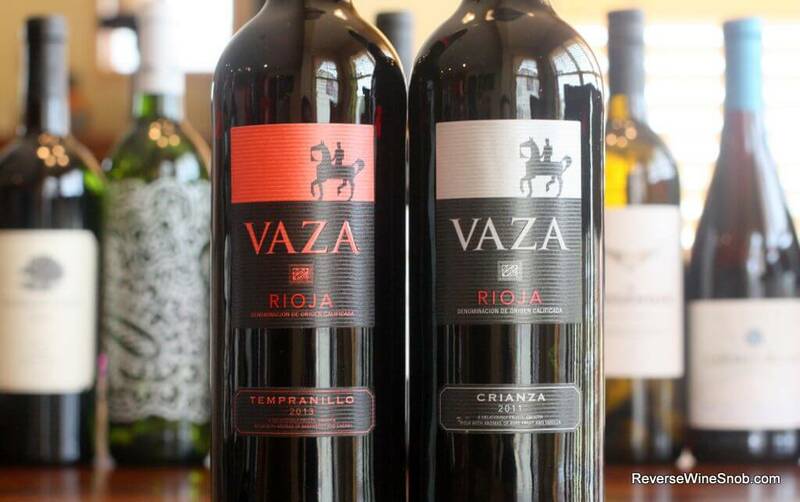 Rioja offers tasty wine for every budget and the wines from Vaza are at the top of that list. Vaza makes modern, food-friendly wines exclusively from one of my favorite grapes — Tempranillo. We sampled the youthful 2013 Tempranillo (SRP $12) and the 2011 Crianza (SRP $18), which spends at least 12 months in American and French oak barrels. We were impressed not only with the rich flavors of both wines but also their ability to be both complex and easy drinking at the same time. 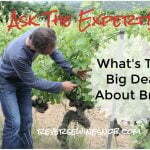 Watch for full reviews of these wines later this week and next. 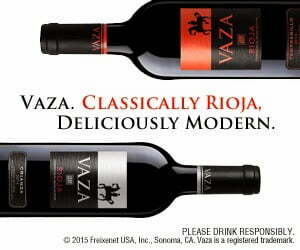 Vaza wines are a part of Ferrer Family Wines, a collection of wines from Spain’s most prestigious appellations. The Ferrer family have been making wines on the Iberian Peninsula (the area covering Spain, Portugal, Andorra and a tiny bit of Southern France) for over 100 years and produce wines with a distinct sense of place. While there is no doubt plenty of good wine on the market vying for your attention, there are few that can offer the combination of classic Rioja old-world style while also offering a modern, refreshing experience — or in other words, a new beginning. Rioja plays its trump card, indeed! See a listing of local retailers selling Vaza wines here.